The Golden State Warriors wandered into the American Airlines Center on Monday night and grabbed a valuable road victory against the Dallas Mavericks. The Mavs are undoubtedly suffering from the absence of future Hall of Fame power forward Dirk Nowitzki whose return date has been somewhat ambiguous. The initial diagnosis was that he would be back within 3-6 weeks of arthroscopic knee surgery, but after more than a month, Nowitzki remains in plain clothes on the sidelines. He has increased his training regiment, but the Mavs have no timetable for his return. In his stead, Chris Kaman has stepped up his offensive production averaging 15 points and 7.9 rebounds, his highest totals since 2007-08. On Monday, he would finish 18 points and 17 rebounds and partnered with O.J. Mayo down the stretch to keep the Mavericks in the contest and send it to overtime. Mayo rose to the occasion more than any Dallas player in a game that would test their ability to compete with a younger, more athletic team. Finishing with 27 points, it was the former Memphis guard who stepped up to the plate to provide key baskets down the stretch. Dallas (6-6) can largely attribute their ability to stay afloat in the standings while waiting for Nowitzki to come back into the fold to Mayo, who is averaging an impressive career high of 21.75 points per game and shooting 50% from the field. Compared to last season’s averages of 12.6 points and shooting 41%, all signs seem to indicate Mayo having found a comfort zone in Rick Carlisle’s offense. Whatever the difference has been for Mayo’s improved offensive output since moving to Dallas, it’s exactly what the Mavericks have needed without Dirk in the lineup. But is it enough? Despite Mayo and Kaman posting monstrous numbers, the Mavs are still struggling to win without Nowitzki. It’s not an age issue as the team has been able to remain healthy. Nor is it a scoring issue as they have the sixth highest scoring total in the league. Put simply, the Mavs problems start in the back court and around the basket. Kaman’s rebounding numbers have been respectable, but no one else on the team has helped him. Last night, David Lee and Golden State out rebounded the Mavericks 62-43 and outscored them in the paint 36-26. With Nowitzki in the lineup, those numbers change significantly, but Dallas won’t know how much longer they’ll have to go without until Nowitzki’s injury update later today. Without him, Dallas has to find some presence in the paint. Starting point guard Darren Collison has struggled with consistency averaging 13.3 points and 6.4 assists per game. Those numbers wouldn’t be so bad if he wasn’t the team’s starting point guard. Inconsistency at the point can prove troublesome to a team, the way it did when Collison turned in a four point, eight assist game in his team’s loss the New York Knicks or on Monday when finished with seven points and five assists. He has just two double-doubles in 12 games and on Monday was taken to school by Stephen Curry who torched the former Indiana Pacers guard for 31 points and nine assists. Carlisle has a major problem at the point when it comes to inconsistency. Rodrigue Beaubois has long been considered the team’s first choice backup, but recently his minutes have dipped as Carlisle is losing faith. On Monday, he played just six minutes, taking one shot and missing. Instead, former University of South Florida standout Dominique Jones stepped in and matched Collison’s point total and added a steal, three rebounds and four assists in just over 14 minutes. Jones’ biggest contribution has been his perimeter defense as he has held opposing shooters to under 30% this season. The trouble for Jones has been consistency in his play and garnering minutes. In three seasons, Jones has never averaged more than 10 minutes of playing time per game and Carlisle doesn’t seem to trust him. Perhaps that is changing, but if so, it’s more out of a necessity for perimeter defense than Jones’ staggering play. The problem with where Dallas is right now is not a matter of talent and it’s not a matter of coaching. This team just needs Nowitzki and light improvement its back court to once again sniff the promise land. Carlisle has to figure out what to do with the point guard position and how players in those roles can contribute the way that the Mavs need. The Mavericks have good pieces in place thanks to experienced veterans Shawn Marion, Elton Brand and Vince Carter being on hand, but weakness at the point guard position and the lack of Nowitzki’s offensive presence has the Mavericks struggling to collect wins. When Nowitzki does return, it may take him some time to get back into the flow of things. At 34, the healing process takes a bit longer and has a far more drastic effect on the body than a younger man. Nowitzki may be still be out for sometime, but if the Mavs want to make the postseason, they’ll need to hand him as many wins as possible before then. With Mayo, Kaman and the core of this team, Dallas could make the playoffs, but how far those players can take them if they did is a concern for fans. NBA Rumors: O.J. Mayo to Bulls, Lakers, Mavericks or Suns? 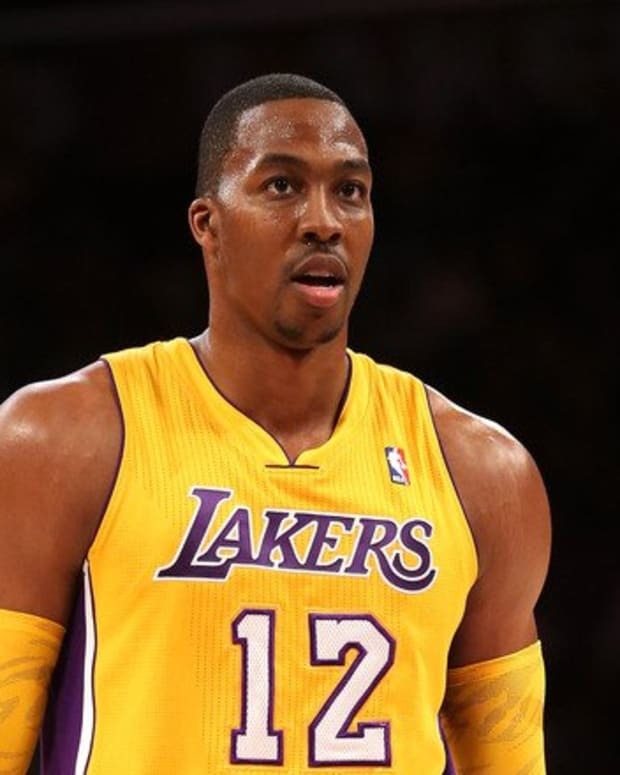 NBA Rumors: Dwight Howard to Rockets, Mavericks, Hawks, Lakers or Warriors?